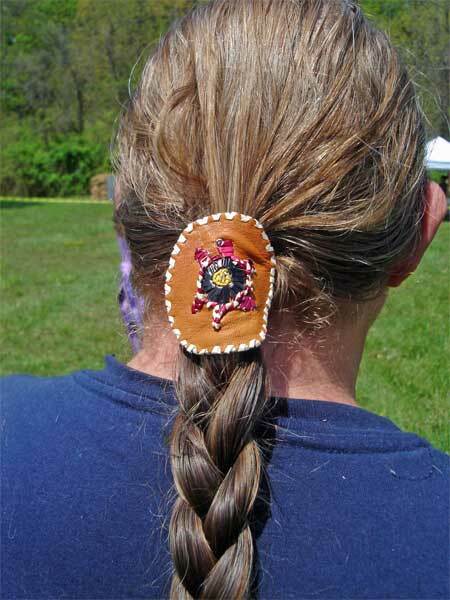 Post about porcupine quillwork and porcupine quill jewelry. I’ve added some new items to my Etsy shop and not just any items, but my two favorite pieces I have in stock right now. 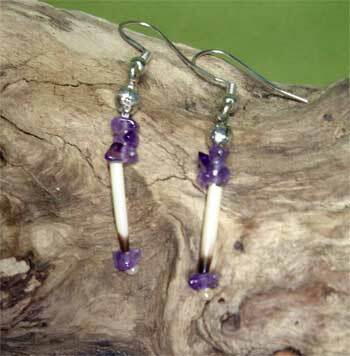 First up are these horse hair earrings above. I love the earrings. 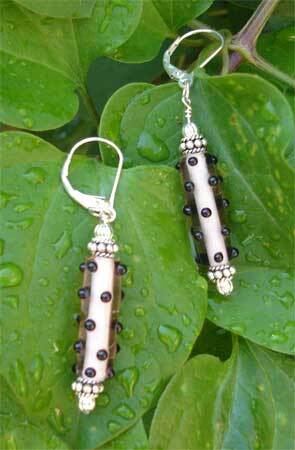 The hammered bead cone on top of the horse hair and garnet just makes these look so classy. 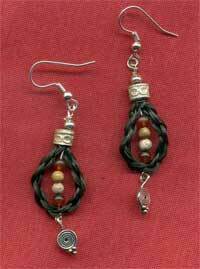 Hopefully I can get some more of these bead cones and add them to most of my horse hair earrings. 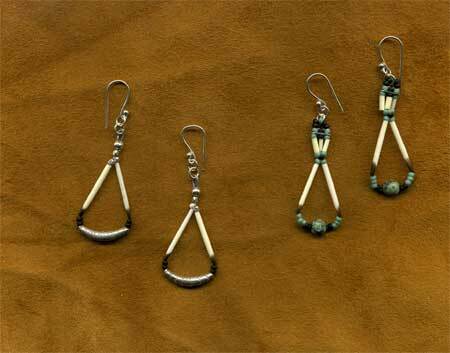 Often I use a variety of bead to finish off the earrings, which give the earrings a rustic feel, like those at right. But these shiny hammer sterling tops really kick it up a notch, as Emeril would say, and give it the flash and sophistication needed for a more classic style. 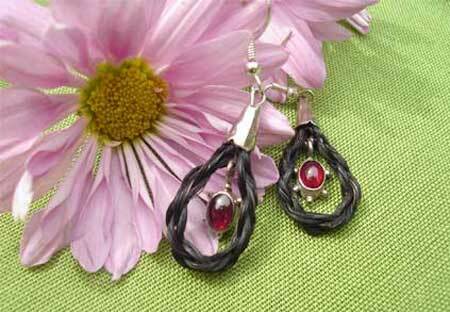 The other reason I love these: the photo actually captures the color of the garnet drops. I really need to invest in an SLR camera and macro lens. Not in the budget today, so I need to figure out the intricacies of my current camera, and I’m not exactly an ace. I snap lots of photos and hope for the best. The stars aligned, or maybe the lighting was just right, when I took that picture. 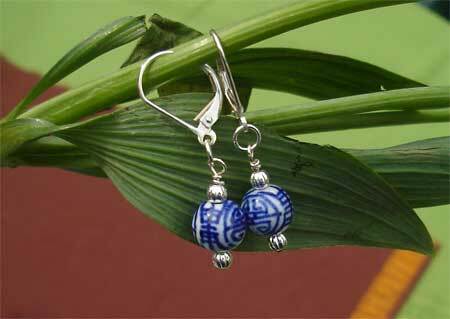 Next up is this pair of quilled earrings. I love these because they are my second “break out” piece (I’ll be posting my first break out piece later this week). By break out piece I mean I finally made the craft my own and did my own thing. 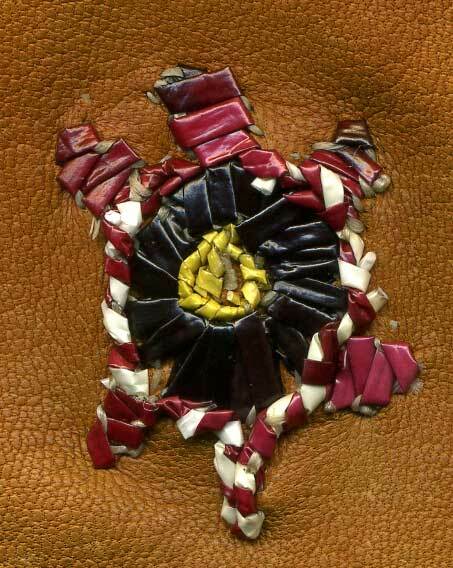 Porcupine quillwork is a very old art and much of what is know about it was collected by a Smithsonian scientist in the early 1900s.By the time he talked with quillworkers who’d learned their craft from generations of other quillworkers this technique was falling out of favor among most Native American Indians. 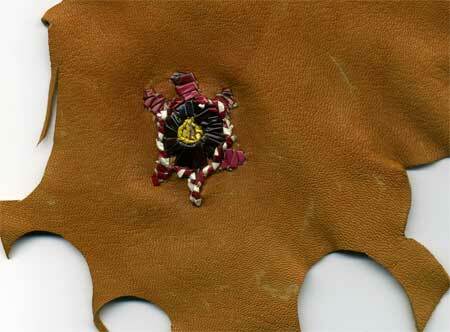 There isn’t much information on quillwork, and it makes you wonder how much of craft was lost along the way. 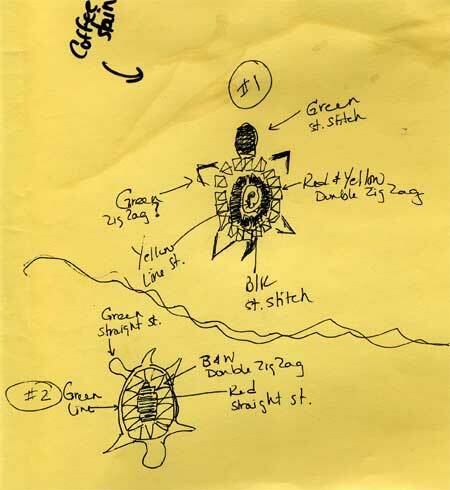 I’m not of Native American descent (at least not that I know of) and had no one to teach me the techniques, so for years I’ve been teaching myself porcupine quillwork by reading books, looking a museum pieces and using classic trial and error. 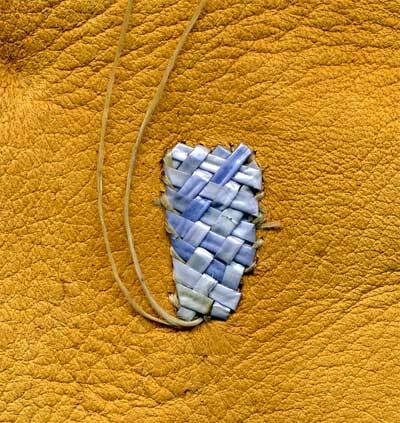 The designs and techniques I’ve done up until recently have been literally by the book, or the way people interpreted the creation of quillwork, so I could learn the techniques. 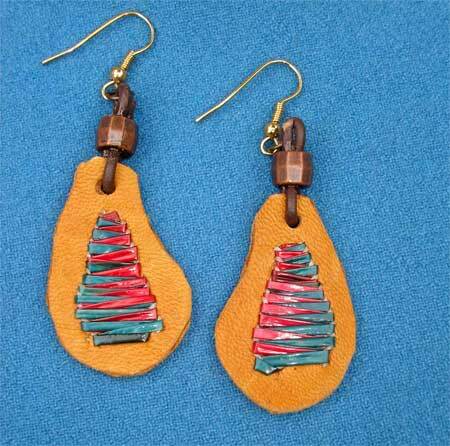 With these earrings I decided to do a different shape with the quills and the leather. An artist was born. This was reinforced yesterday while listening to a CraftCast podcast interviewing Thomas Mann. 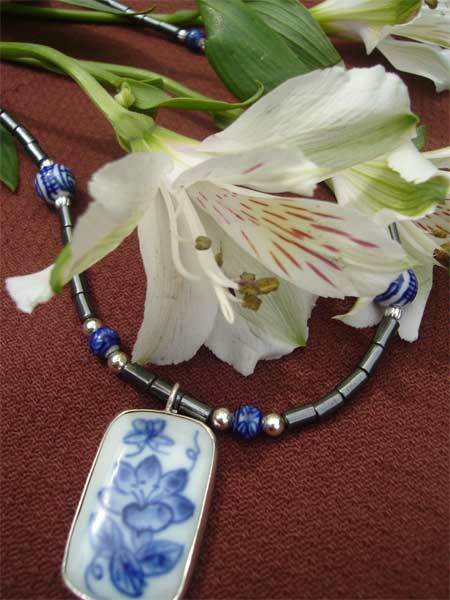 Imitation is how we learn, he said, and once you move beyond the imitation you can become your own artist. Mann goes on to explain how imitation as learning manifests itself at craft show where in a certain time period all the work looks similar. (An interesting note for you locals: Thomas Mann embarked on his art-laden path at 8 years old when he began attending the Baum School of Art in Allentown.) The podcast is worth a listen, as are most of Alison Lee’s CraftCast podcasts. I’ll keep you updated as I add more pieces to my shop in the next few days. 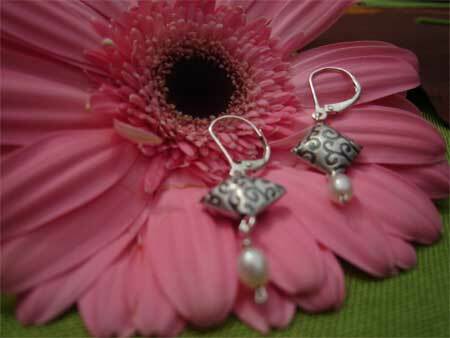 A pair of bead and pearl earrings. 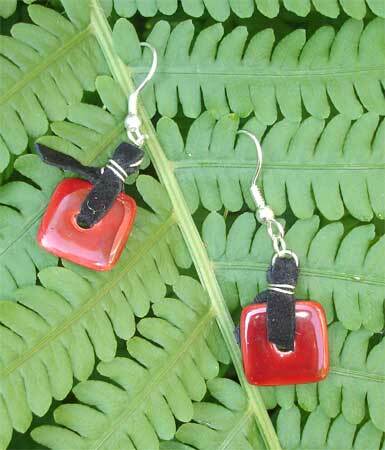 My friend picked out the red porcelain beads and pink cylinders with black polka dots and I made them into earrings for her. Hope she likes them. Lots of dancing by native peoples in regalia. 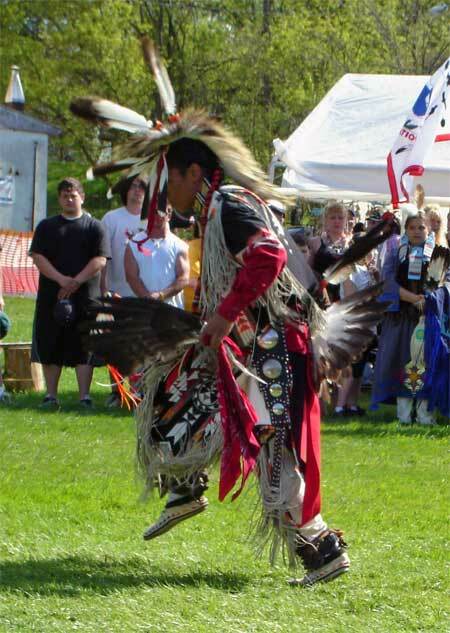 Head Dancer Robert SilentThunder performs a special dance in honor of the Museum of Indian Culture. The turtle I worked on the last few weeks found a happy, new home. 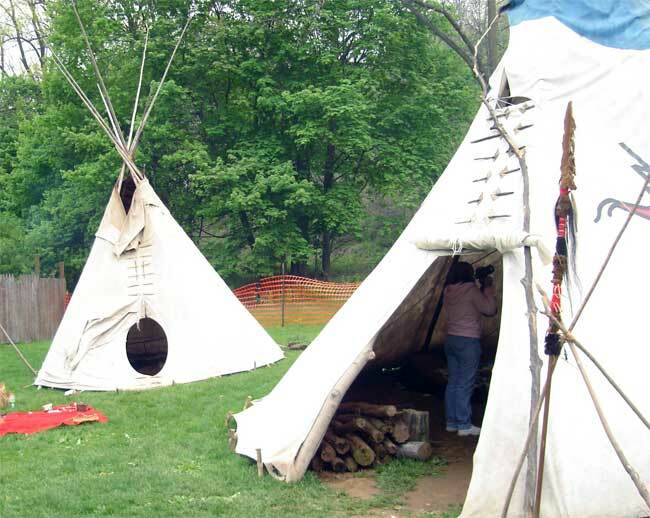 Two of the teaching tipis. 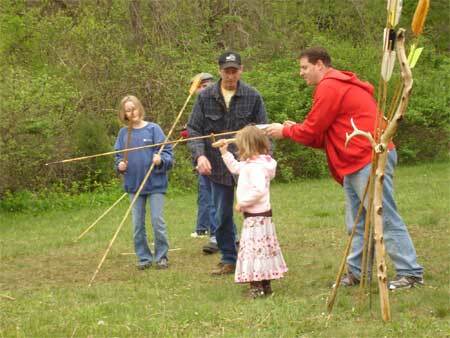 My little pink with her uncle, learning to throw the atlatl, an ancient hunting weapon. 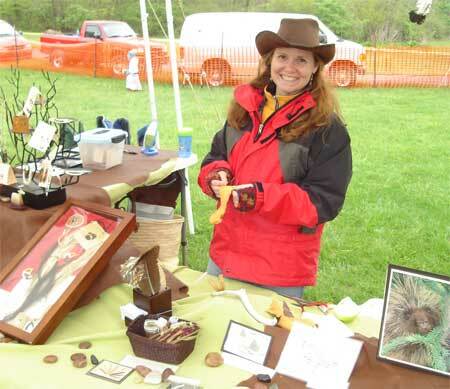 Yes that’s me wearing gloves while demonstrating quillwork at my booth. Saturday was overcast and the breeze blowing off the Lehigh River was c-c-c-cold. Sunday was sunny and gorgeous.